A market historian says we could be headed towards a 1987-level correction. As the Dow Jones Industrial Average notched its ninth straight record close on Monday, one market historian says equity markets could be headed for a 1987-level correction. 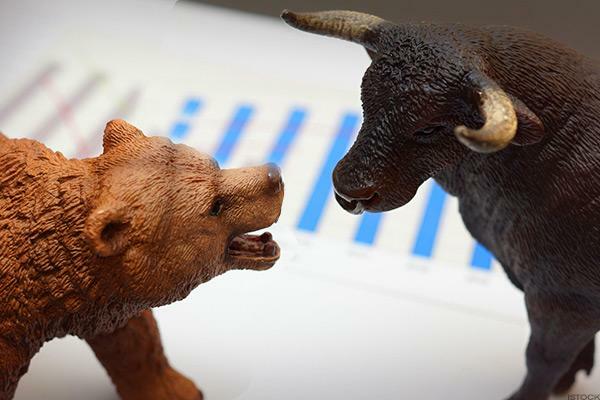 The Dow's recent run-up is reminiscent of the index's steep climb heading into the stock market crash of October 19, 1987, according to New York University financial historian Richard Sylla. Better known as Black Monday, the 1987 crash saw Dow lose 22% in a single day, its worst one-day percentage drop ever. "I suspect we are in the late stages of a long bull market," Sylla said in an email. "I see parallels with 1987 when the Dow increased by a hundred points ever few weeks before crashing on October 19 in the biggest one-day percentage loss ever. Since Trump was elected, we have seen the Dow hit 19, 20, 21 and lately 22 thousand -- reminiscent of 1987." The Dow was up more than 40% at its August peak in 1987, a much steeper climb than its roughly 11% year-to-date gain in 2017. But in both circumstances, the stock market saw a seemingly unstoppable advance. Valuations are actually higher today than they were then. The trading 12-month GAAP price/earnings ratio was about 20 times earnings in 1987 compared with 23 times today, said Sam Stovall, chief investment strategist at CFRA Research. The CAPE ratio (cyclically adjusted price-earnings ratio), a valuation measure applied to the S&P 500 devised by Yale economist Robert Shiller, is higher today than it was on Black Monday. In fact, it's only been higher at two other moments in history: heading into the stock market crash of 1929 and the dotcom bubble of 2000. "The current level of CAPE suggests a dim outlook for the American stock market over the next 10 years or so, but it does not tell us for sure nor does it say when to expect a decline," Shiller wrote in a March New York Times op-ed. Some other elements of the 1987 scenario were more precarious than the current context. Inflation in 1987 was much higher, with the U.S. core consumer price index (core CPI) up 4% year on year compared with 1.7% today, Stovall said. The federal funds rate set by the Federal Reserve was 6.75% in August 1987 versus 1.25% now. "Not only is the market much less exciting than it was then...but equally important, we've had the 10-year Treasury yield come down this year, we've had the dollar come down this year, we've had easing going on as opposed to tightening," said Jim Paulsen, chief investment strategist at The Leuthold Group. "In 1987, you had markets going up much faster, you had multiples advancing rather than flat-to-down, and you had competitive interest rates becoming a bigger and bigger hurdle." "When you're eight or nine years into one of the longest recoveries ever, the question of [a steep correction] certainly crosses your mind, there's no doubt," Paulsen said. "Before it really gets more risky, I think you're going to have to have rates and inflation rise." The problem is, an oncoming correction is notoriously difficult, if not altogether impossible, to spot. One strategy, Sylla said, would be to follow the advice of J.P. Morgan who said when he was asked how he got so rich: "By selling too soon!" And while run-ups sometimes precede major drops, they don't always. "On average, returns aren't great following a massive run-up, but they're not terrible either," Robin Greenwood, professor of finance and banking at Harvard Business School and co-author of a study on spotting stock market bubbles, said in a recent interview with TheStreet. The S&P 500 racked up 29 new all-time highs year-to-date through the end of July, Stovall recently wrote. That's happened seven other times since World War II, including 1955, 1964, 1985, 1995, 1997 and 1998. "The good news is that these six went on to record an average July-through-December price increase of 6.3%, with all years recording positive five-month performances," he wrote. "Unfortunately, 1987 was also on this list." Here's how Jim Cramer just used Apple (AAPL - Get Report) , Tesla (TSLA - Get Report) and McDonald's (MCD - Get Report) to explain why President Trump is right about stocks.